Can anyone with the phone on T-Mobile confirm that it has or doesn't have VoLTE? Seeing on Reddit that it drops to 3G or calls fail. VoLTE and WiFi calling have always worked for me on my KEYone in AZ on T-Mobile. Thanks for the reply. I'll be able to test tomorrow when mine comes in. I'll relay this info over to Reddit. There are very few areas that T-mobile with VoLTE can't be access. They are already advertizing 5G coming in the very near future. To track it down to how close to your home your range is you can see it on their main website. Just curious, did you change your device in the MyTmobile area of their site or do they maybe have a BB Priv still set as your device? Just wondering if there's anything that needs to happen with T-Mo's systems and provisioning. Never changed a thing but the last time I did, it was to set it to Priv and it's still set that way. This is good news. Now I have to figure out why mine won't make VoLTE calls. Anyone who has it working...would you mind screenshotting your APN settings? I'm using the defaults, which should work...but maybe not? What happens if you use the DIGITS app instead? Actually the problem turned out to be my LTE Cellspot. As soon as I left the house I could make VoLTE calls. So...yeah. I do not have my KeyOne yet and I am certainly not trying to be redundant, but on Amazon if you look at the Q&A section BBMobile (the manufacturer) says that WiFi calling is not supported on T-Mobile. So just to make sure my expectations correctly other users are having no issues with VoLTE or WiFi calling? In advance thanks for the help. The traditional wifi calling enablement on T-Mobile is no longer necessary. It no longer requires a T-Mobile branded or sold phone. Any phone, tablet, or computer connected to the internet in some way can make calls on your T-Mobile line. Download, install, and use the DIGITS app and call away. While it's true that digits will make calls on anything, for those of us who prefer to use the standard dialer, volte and WiFi wifi calling work fine with with one possible exception. Volte does not work on my LTE Cellspot. on Amazon if you look at the Q&A section BBMobile (the manufacturer) says that WiFi calling is not supported on T-Mobile. 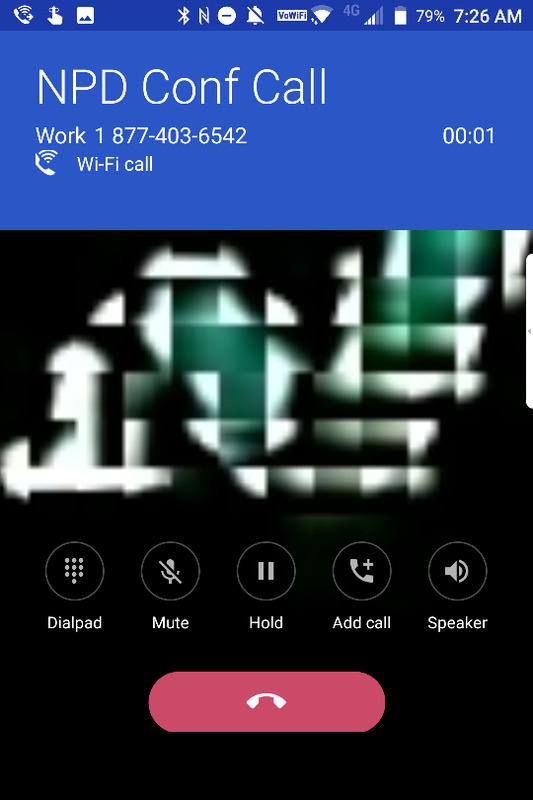 You say t-mo wifi calling works, TCL says it doesn't. Superb to know. And it's getting great reviews elsewhere, so I can't wait to fire mine up today. I have T-Mobile and was worried WiFi calling wouldn't work, so thanks for showing that it does! Michael Saxon, my sincere appreciation for your response. I really appreciate it. Having worked in tech support I know wrong answers get communicated to customers at times. These pics clarify the issue clearly. Great info! Hope to get my KEYone soon. Awesome... glad to hear that about the convenience key. I was initially worried when they took away the middle volume/mute button. Nope, the Icon won't change for VoLTE. It will change for WiFi Calling, you'll get a small icon that says "VoWiFi" (Voice over Wifi). Having used the the KeyONE a bit in various places, The VoLTE and VoWIFI work just fine. I am still unable to use VoLTE over my LTE Cellspot, but I'm finding that the phone simply drops to UMTS and uses the CellSpot that way...so I'm not worried about it anymore. Oh thanks for that. I feel like we have the same Cellspot. Tmo offers an upgraded one right? 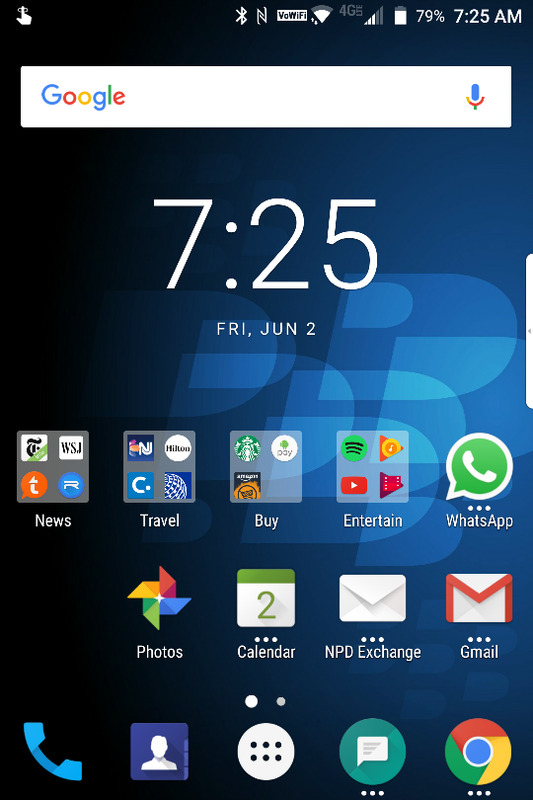 Activate BB keyboard on homescreen . Bell Keyone works on Fido? Can't go unprotected: Cases and Covers -where are they already?